We’re excited about the holiday weekend and are happy to be bringing you another fun episode of our podcast. This week we’re talking with the Vice President of Sales & Marketing at CoolBot, John Bergher! It was great meeting John and hearing more about what the CoolBot is and the great ways we as homebrewers can use it. 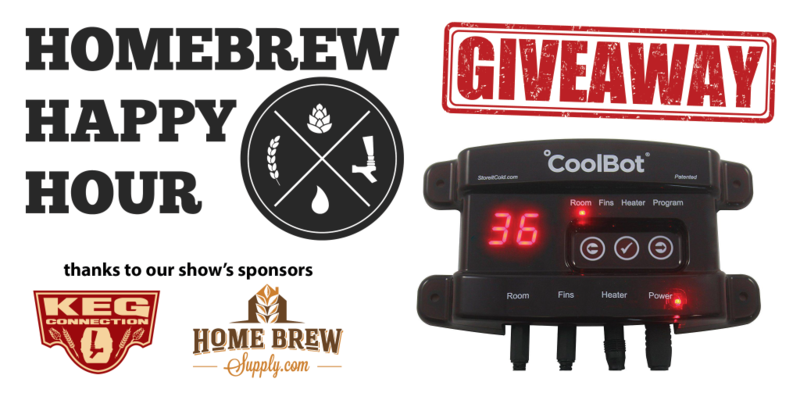 Even better, the team at CoolBot has been gracious enough to partner with us and our show sponsors to do a GIVEAWAY for a FREE COOLBOT! How cool is that (see what I did there? eh? eh?!)? Details on the giveaway can be found HERE.